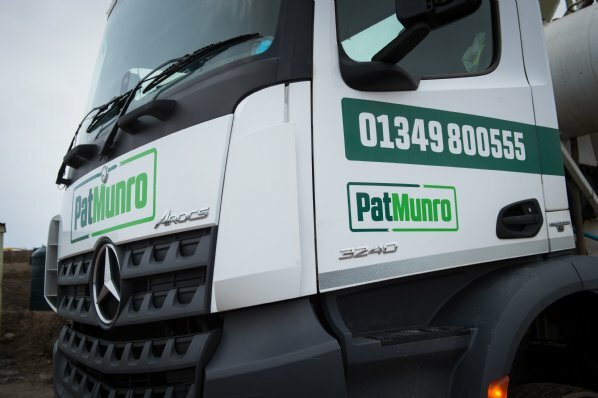 Pat Munro are one of the largest privately owned contractors operating in the Highlands of Scotland. We supply traditional quarry materials such as sand and gravel aggregates, Kitemark ready-mix concrete and asphalts, as well as specialised materials such as recycled aggregates and our own unique cold-lay tarmacadam – ‘HandyMac’. All of our products can be delivered via our own fleet of tipper lorries and concrete mixers meaning we are a flexible and responsive producer, supplying high specification quarry materials. Indeed, our flexible attitude to supply means customers can get what they want, when they want it (we often supply out of hours materials for public works). As a business, we pride ourselves on our impressive track record and the close relationships we build with our customers. For more information please see the navigation bar to the right for specifications and contact details of each of our products and services, and our download page for key documents and certificates. If you know the dimensions of the area you need for aggregates, asphalt or ready mix you can use our handy Product Calculator. This works out the approximate quantity required and sends an email to us, and we will then contact you to progress the order. Call us on 01349 800555 and we will be happy to help you!